When Governor Andrew Cuomo signed a bill that removed all protective measures for both mother and unborn child in New York—on, of all days, January 22, 2019, the 46th anniversary of Roe v. Wade —people all across the nation woke up and wanted to do something to help. But rather than criticize, Governor Ralph Northam gave Va. State Del. Kathy Tran’s bill his approval. But, hard as it to believe, he went even further! What about resuscitation? Northam says “if that’s what the mother and the family desired. And then a discussion would ensue between the physicians and the mother,” presumably to make sure the mother (or nurses or someone else) doesn’t go “too” far in trying to save the baby. For many people, it was as if they had awakened in a different country, a strange land where killing babies, born and unborn, was the new law of the land. They were upset, they were angry, in fact, they were outraged. So National Right to Life hosted a Webcast Wednesday night to not only make sure the attendees fully understood the new law in New York, and what was being attempted in other states such as Virginia, Rhode Island, Vermont, and New Mexico, but also were equipped to get to work and try to save lives and make a difference. Materials were prepared and posted at www.nrlc.org/stopabortion to help the pro-life grassroots rise up, organize, and do something to stop the madness. Despite having less than 48 hours to promote the Webcast and get the word out, our state affiliates and chapters across the nation came together. They will take the information provided there out to local communities all across America and educate; find out where their elected officials stand on abortion and infanticide; find out what bills are being introduced in their state, form community chapters; and dig in for the long haul. What Gov. Northam stated in his efforts to justify Infanticide may not have shocked the hosts at WTOP radio, but it tore at the hearts of pro-life Americans. Neglecting babies who survive abortion is unacceptable not only to pro-lifers, but to the public at large. Not today, not tomorrow, not ever. 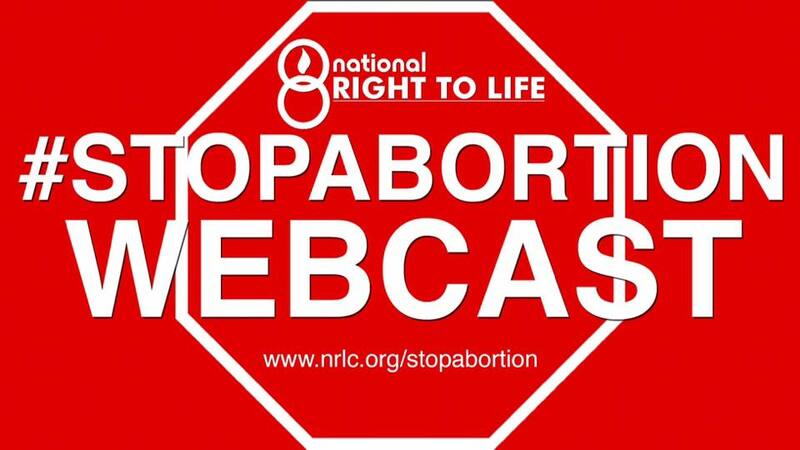 If you were unable to participate in the Webcast last night, please go to www.nrlc.org/stopabortion and take a look at the materials. If you want to join us in really making a difference, email stateod@nrlc.org. We will contact you about other activities that you can become involved in. You are needed in this battle and it is clear it isn’t going away. A final thought…Thank you for your help in making this event a success. Previously, she had assumed that abortion, as an issue, was over with. It is not over. We must come together as a unified team to combat this evil and save lives and turn back the work of the Cuomos and Trans and Northams. We can no longer be silent and consider it someone else’s problem. It is OUR problem. They are killing OUR future. Today…if you are not part of the solution…you are part of the problem. Please join us and help save lives. Join us and make the difference.